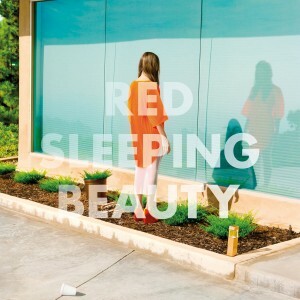 Long awaited fourth album from Swedish legends Red Sleeping Beauty! The trio of Niklas Angergård, Kristina Borg, and Mikael Matsson formed in the early 1990s and released a series of pop gems on the finest labels of the day including Marsh Marigold, Motorway, Sunday and Siesta. After a 15-year disappearance, they returned in 2016 with new releases including the excellent album ‘Kristina’ on Shelflife and Labrador. The band contributed a smash hit to the ‘Matinée World Cup’ EP last year and this album marks their official first full release for Matinée. The euphoric ‘We Are Magic’ is both the first song recorded for the album and the first song Kristina sang after defeating cancer. With swirling synthesizers and crystalline vocals, it marks an especially impressive return for the band and is the perfect opening track for the album. With an intro that should appeal to vintage O.M.D. enthusiasts, ‘Always On Your Side’ is an indie gem featuring Niklas on lead vocals, while ‘Tonight’ is an ode to the hopes and possibilities of youthful summer nights and a hit single just waiting to happen. ‘New York City Girls’ channels early Pet Shop Boys and Kraftwerk and is surely the coolest song recorded by the band to date, and ‘A Perfect Facade’ is a sad song detailing life in a small seaside town and featuring the angelic backing vocals of Rose Suau of Shoestrings / Djustin / Invisible Twins fame. Side two of the album opens with ‘Top Love’—a duet about everyday life and a modern synth classic complete with shameless Yazoo outro, and is followed by ‘Tell Me Lies’ featuring pop guitars, a heavenly chorus, and lyrics about having really high thoughts about yourself. Having stolen their name from a great McCarthy single, it was only a matter of time before the band covered ‘Red Sleeping Beauty’ and now, nearly 30 years after their first recordings, their haunting version slots perfectly into the new album. Future dancefloor filler ‘The Swedish Winter’ is the band’s most Saint Etienne moment so far—a song about the long, depressing Swedish winter and the short (one day or so), not-so-depressing Swedish summer, while album closer ‘Don’t Cry for Me, California’ begins as a power ballad but morphs into another club hit, complete with 80s Pet Shop Boys orchestral flourishes. Mixed and mastered by sound genius Tomas Bodén (co-producer of the latest album from fellow Swedes The Radio Dept. ), ‘Stockholm’ is by far the strongest set of Red Sleeping Beauty songs to date with the right amount of edge and spark to allow them to reach their true potential. The album is a modern classic and an absolutely magnificent addition to the Matinée discography.